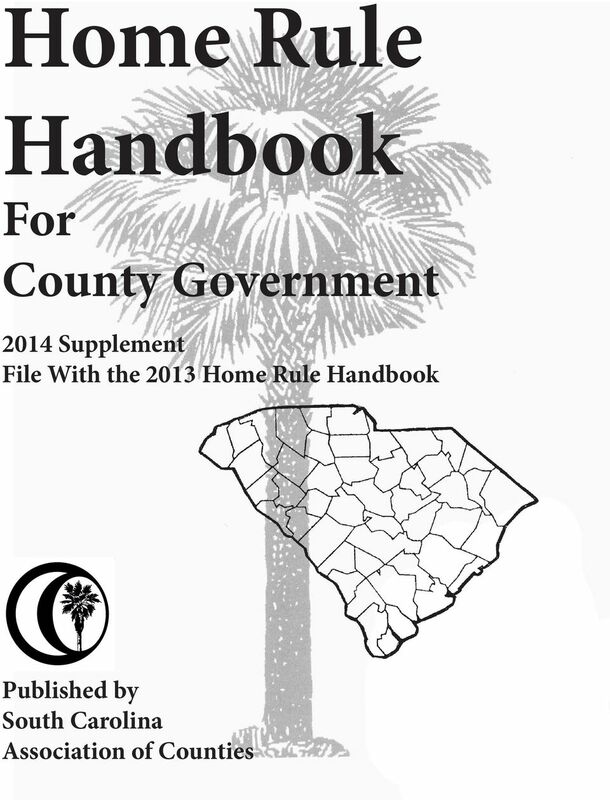 Download "Home Rule Handbook. 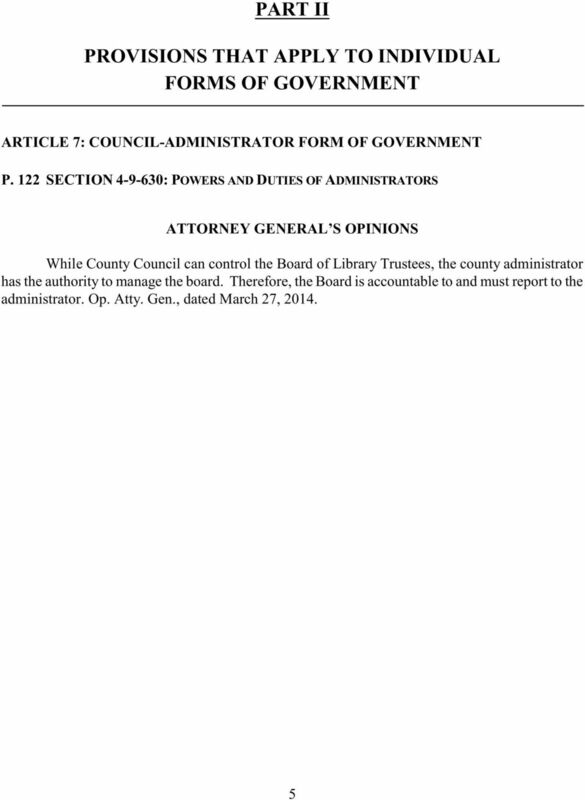 For County Government. 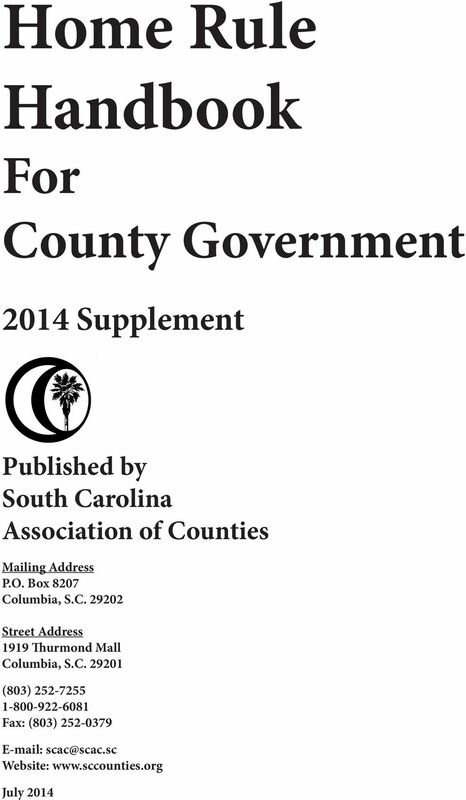 2014 Supplement File With the 2013 Home Rule Handbook. 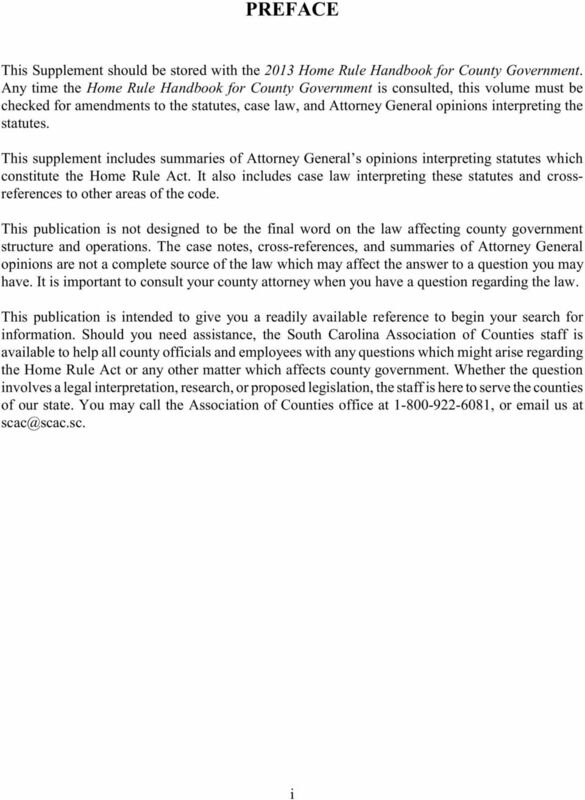 Published by South Carolina Association of Counties"
S T A T E O F T E N N E S S E E OFFICE OF THE ATTORNEY GENERAL PO BOX 20207 NASHVILLE, TENNESSEE 37202. March 23, 2007. Opinion No. 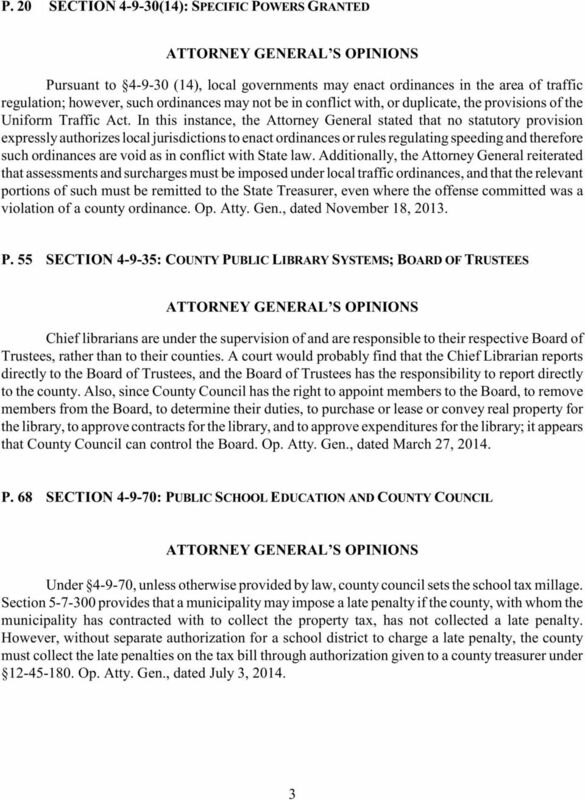 GUAM CODE ANNOTATED TITLE 11 FINANCE & TAXATION UPDATED THROUGH P.L. 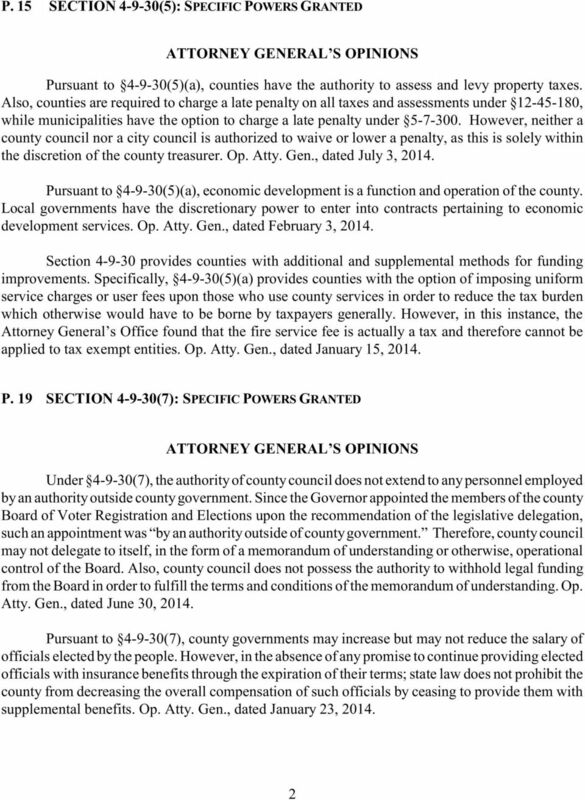 32-235 ( JANUARY 2, 2015) TABLE OF CONTENTS TITLE 11 FINANCE & TAXATION DIVISION 1 DEPARTMENT OF REVENUE AND TAXATION Chapter 1. Administration. 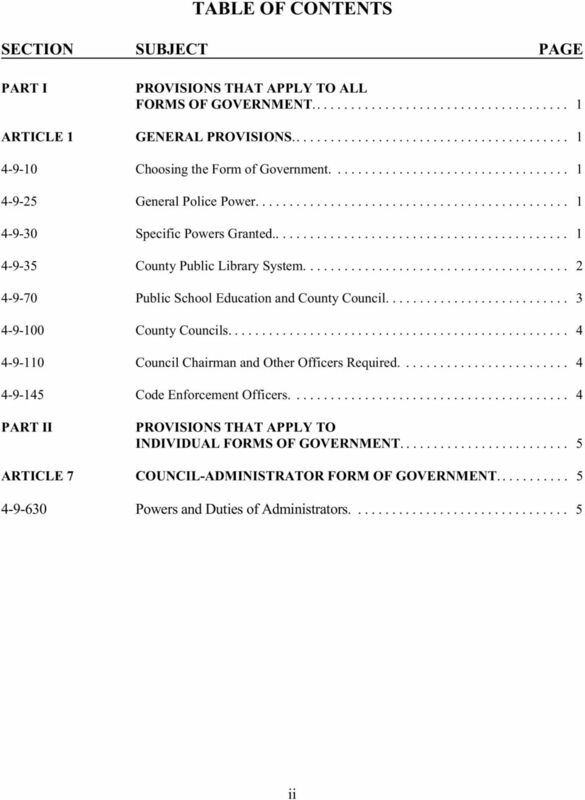 Brief Description: Reorganizing and streamlining central service functions, powers, and duties of state government. LEGISLATURE OF THE STATE OF IDAHO Sixty-second Legislature First Regular Session - 2013 IN THE HOUSE OF REPRESENTATIVES HOUSE BILL NO. Chapter No. 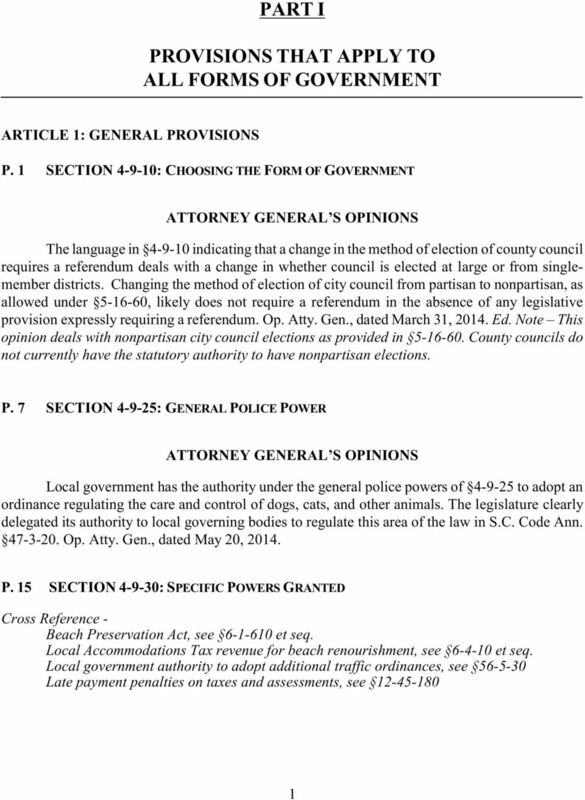 765] PUBLIC ACTS, 2004 1 CHAPTER NO. 765 HOUSE BILL NO. 3229. By Representatives West, Marrero. Substituted for: Senate Bill No. 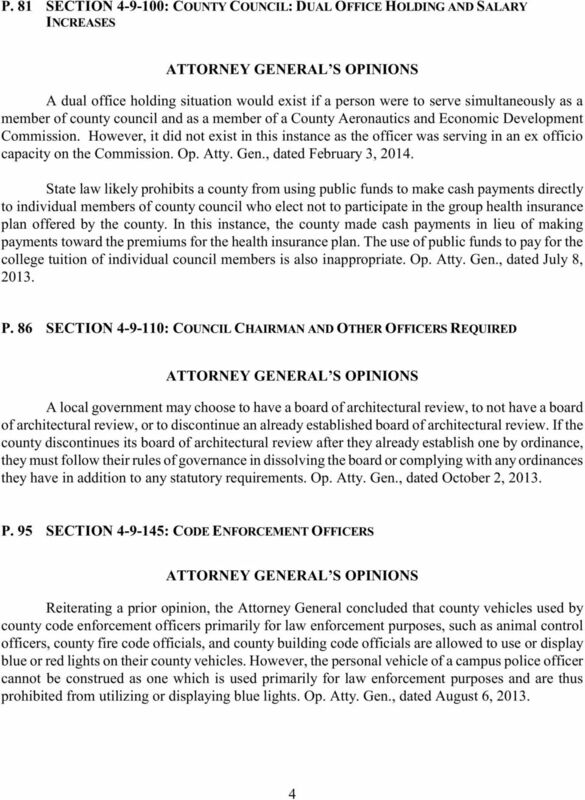 State Law in Texas affecting Local Codes & Ordinances Published as a public service by Page 1 of 17 INTRODUCTION State law changes in Texas impact many provisions in the ordinance codes of Texas municipalities. 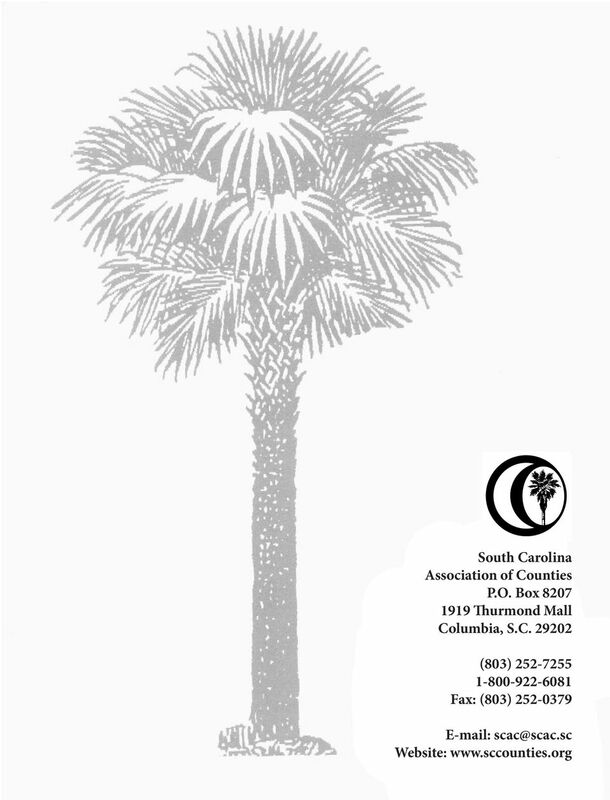 GENERAL ASSEMBLY OF NORTH CAROLINA SESSION 2015 HOUSE BILL 556 RATIFIED BILL AN ACT TO ENACT THE ACHIEVING A BETTER LIFE EXPERIENCE (ABLE) ACT. GENERAL ASSEMBLY OF NORTH CAROLINA SESSION 2015 HOUSE BILL 556 RATIFIED BILL AN ACT TO ENACT THE ACHIEVING A BETTER LIFE EXPERIENCE (ABLE) ACT. 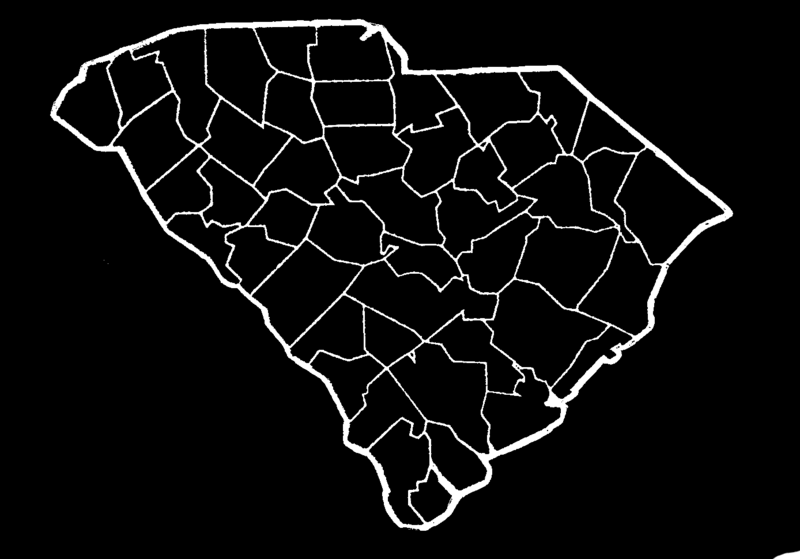 The General Assembly of North Carolina enacts: SECTION 1. APPENDIX B Guidelines for the implementation of N.J.S.A. 39:4-50.23, the mandatory 12-hour impoundment of the motor vehicle operated by a person arrested for a violation of N.J.S.A. 39:4-50 (DWI) or N.J.S.A.